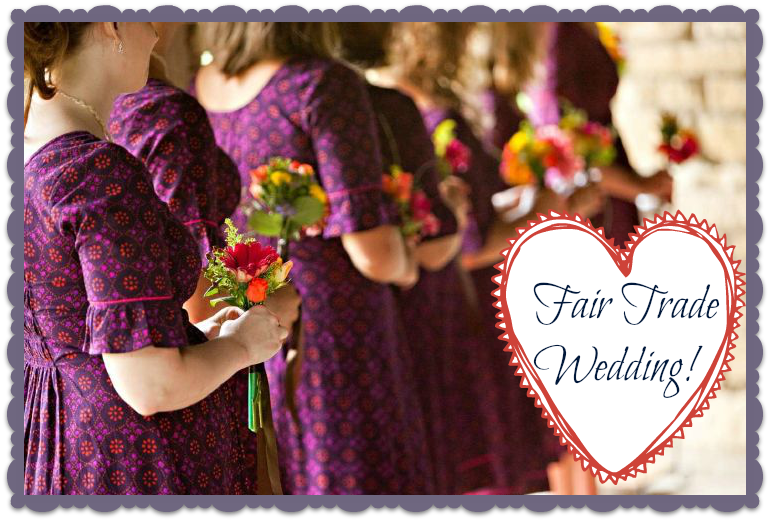 fair trade wedding Archives | All That's Fair. Ah, wedding season. It’s almost here, and as much fun as it is for brides, there’s no point in pretending there isn’t a bit of stress involved. Right, ladies? I’m sure my husband considered asking for the ring back when he witnessed my colossal meltdown over table settings (during which he had the good grace to remain absolutely silent). Hopefully, if you’re a summertime bride, you’ve already registered for your gifts the easy way right here on SevenHopesUnited.com. A fair trade wedding registry is the perfect way to give hope to developing nations while furnishing your first home as a married couple. And as for one of those other small “stressors”—what to give your bridesmaids as a thank-you gift—we can help with that too! When I’ve been a bridesmaid in the past, I’ve always loved getting a “goodie bag” filled with fun items the bride handpicked. It’s a thoughtful way to show your bridesmaids how much you appreciate them! Above, I selected our cheery Large Recycled Plastic Beach Tote to stuff with the surrounding items. From clockwise, we’ve got a sweet-smelling Batik Soap made in Bali; chic turquoise Tagua Nut Earrings handcrafted with sustainable materials from the rainforests of South America; our gorgeous 31BITS Rosette Necklace from Uganda; 100% cotton Shibori scarf woven in India; and a Peruvian eco-friendly Brazil Nut Candle. 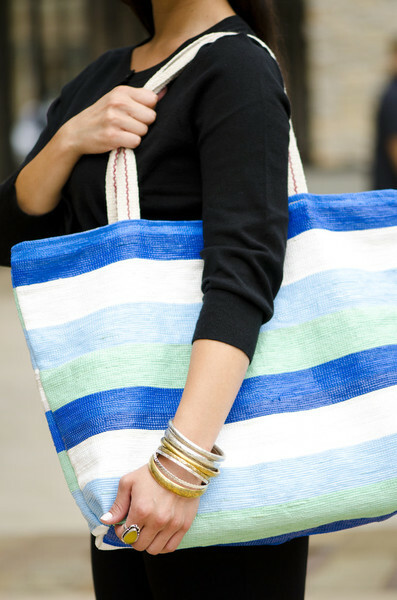 This gift bag would be especially perfect for a beach-themed wedding! And if you wanted to go ahead and have your girls wear the jewelry during your ceremony, how beautiful would the necklace and/or earrings be with a simple, flowing black or cream bridesmaid dress? If you have several bridesmaids, you might want to consider any of our roomy bags stuffed with items to match your friend’s personality for an even more personalized touch. You could create one for a cook, one for a wine lover, one for an artist, or anything else you can dream up! For more details on how to register with us for your wedding gift registry and how it makes a difference, just click here. Thanks for considering making Seven Hopes United a part of your special day! 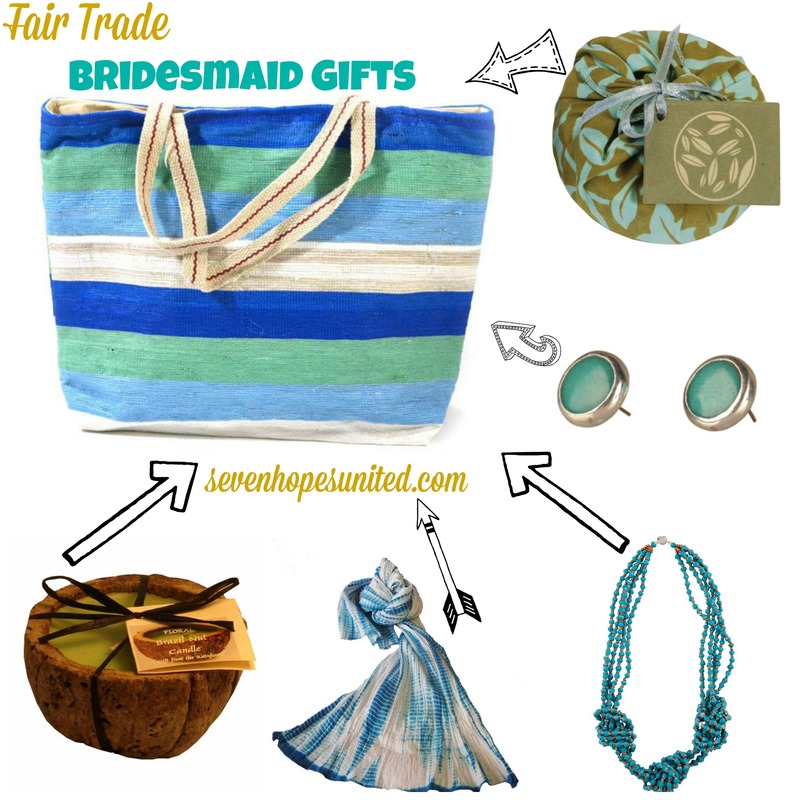 This entry was posted in General, Gift Guides and tagged fair trade bridesmaid gifts, fair trade wedding on May 9, 2014 by Casey Trogden. Fair Trade Wedding Wednesday – yay! I know lots of you love these posts as much as I do, and today’s real couple, Kathleen and Russell, have a great list of favorites from their fair trade registry. A big thanks to Kathleen for sharing her list and beautiful wedding photos with us! We are a young couple from the Midwest who have a laid-back and eclectic style. Our first home is an apartment in Bloomington, Indiana (Home of the Hoosiers!) and we’ve worked hard to make hand-me-down furniture and thrift store kick-knacks look cohesive. I am a self-proclaimed “lazy girl crafter” meaning I love homemade, unique decorations but don’t have the patience for long projects. With Fair Trade items you get quality craftsmanship without having to do it yourself – perfect! After learning about and becoming an advocate for Fair Trade in college, Russell and I were excited to find a wedding registry to promote the cause. Without further ado, here are a few of Kathleen & Russell’s favorite fair trade products! This beautiful table runner makes our $10 garage sale table look much greater than it’s worth. There are beautiful bits of red and yellow in the design which inspired the color scheme for our living space. them in the washing machine with no damage done! My great-grandma’s favorite tree was the Ginkgo. She would display the dried leaves on the wall of her apartment, among the other oddities that she collected. This pot holder is sentimental, cheery, and bright. In my opinion, this pitcher is one of the most beautiful items on the site. I can’t wait for winter to be over so we can sit on our porch and drink lemonade from it! These glasses, like the pitcher, are beautiful yet sturdy. We use them daily, but we’re also sure to put them out when guests are over! Thanks again Kathleen, for the fabulous list of products and your awesome product descriptions! If you are interested in having your favorite fair trade products featured, email me and I will give you more details! This entry was posted in General, Real Couples, Wedding Wednesday and tagged fair trade gift registry, fair trade gifts, fair trade registry, fair trade wedding, fair trade wedding ideas, fair trade wedding presents, fair trade wedding registry on February 19, 2014 by Ashleigh Krawll. I recall being asked that question quite a bit when I was getting married. Mine were pastels in orange and pink! Whatever your colors were or are or some day may be, color plays a large part in most weddings! We thought it would be fun to share some color inspiration that comes from Seven Hopes United’s many colorful items. What better color to start with than the one that is most closely associated with weddings: BLUE! 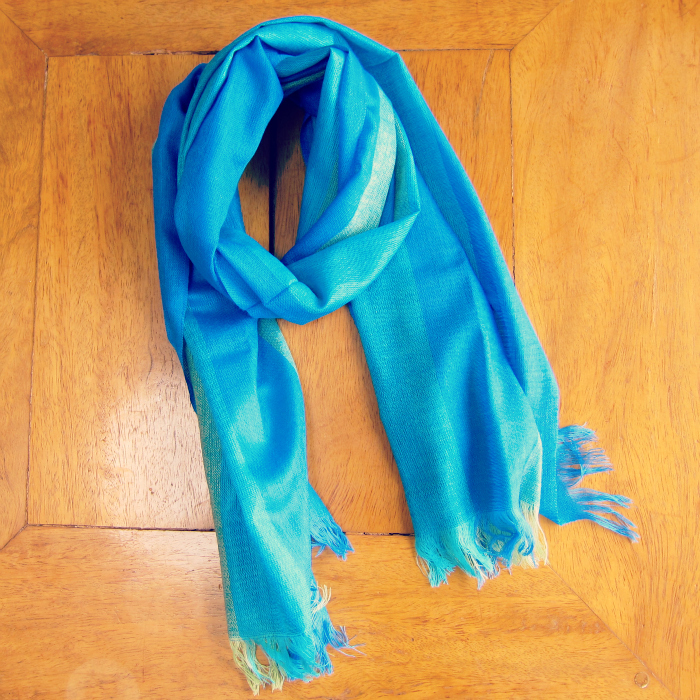 A little something blue to wrap around your shoulders! 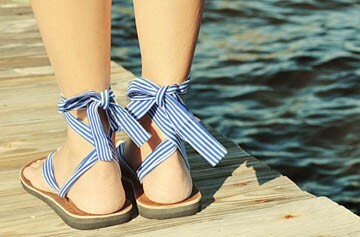 Blue sandals for the wedding itself or perhaps on your honeymoon! This lovely blue tote is a reliable way to carry your many wedding sundries! 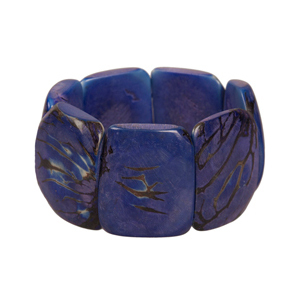 This darling little bracelet could be a simple addition of blue to your wedding day ensemble! Okay, it’s hard to think about winter in the midst of summer but if you are having a winter wedding wouldn’t this be a cute little gift for your bridesmaids or even for yourself?! PS – What was your something blue? Mine? My husband and I entered our wedding reception to Gershwin’s song “Rhapsody in Blue”! This entry was posted in General, Wedding Wednesday and tagged fair trade wedding, fair trade wedding ideas on August 21, 2013 by Dawn Stary. 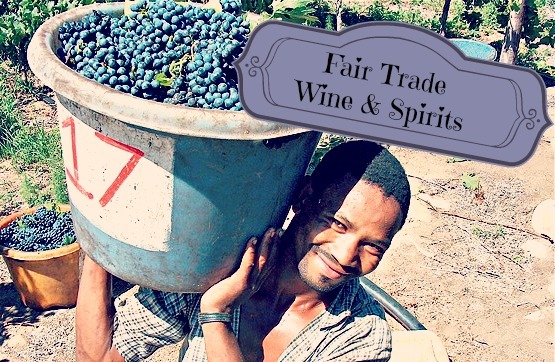 Wedding Wednesday: Fair Trade Drinks! Although I know that some weddings are dry and don’t serve alcohol, I have to say that every one I have attended has served some sort of hard drink. There have been occasion when a wedding only serves wine and beer, which is fine by me but other times all sorts of drinks are available. Keeping this in mind I thought that this week I would write a little bit about some fair trade drink options. You may have heard about fair trade wine, but did you know that there are fair trade beer and fair trade vodka options? Check out some fair trade drink options below that you could use at your wedding! 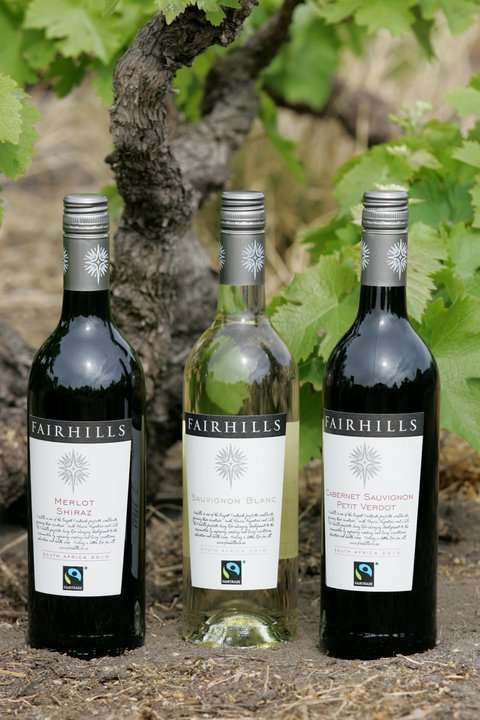 I’ve had Fair Hills Wine before and enjoyed both the red and the white wine I tried. FAIR offers three different kinds of spirits: a Quinoa Vodka, a Cafe Liqueur and Goji Berry Liqueur. All three sound like they would be an interesting and tasty addition to a martini. Here’s another one that I have tried! 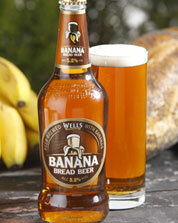 I wasn’t sure how I would feel about the taste of banana and beer together but it’s quite good. If you are planning your wedding or perhaps have a friend who is, I highly recommend incorporating these or other fair trade wine, fair trade spirits or fair trade beer choices into you big day! This entry was posted in General, Wedding Wednesday and tagged fair trade wedding on July 3, 2013 by Dawn Stary. Wedding Wednesday! Fair Trade Weddings! Mata Trader dresses are a beautiful and fair trade addition to this wedding! We at Seven Hopes United are very happy that so many couples have chosen to use our wedding registry for their nuptials. It is an honor for us to be a part of their new lives together. The other day we were thinking of ways we might be able to offer even more support to those who are interested in having a fair trade wedding. It occurred to us that we could offer suggestions and tips on how to have a fair trade wedding right here on our blog. So we will be sharing our thoughts about having a fair trade wedding here in our Wedding Wednesday blog posts! Of course, having a fair trade wedding means different things to each couple so our posts will cover a wide range of topics and we are happy to cover ideas that our readers would like to see as well. So please send us your thoughts. This entry was posted in General, Wedding Wednesday and tagged fair trade wedding, fair trade weddings on June 12, 2013 by Dawn Stary.